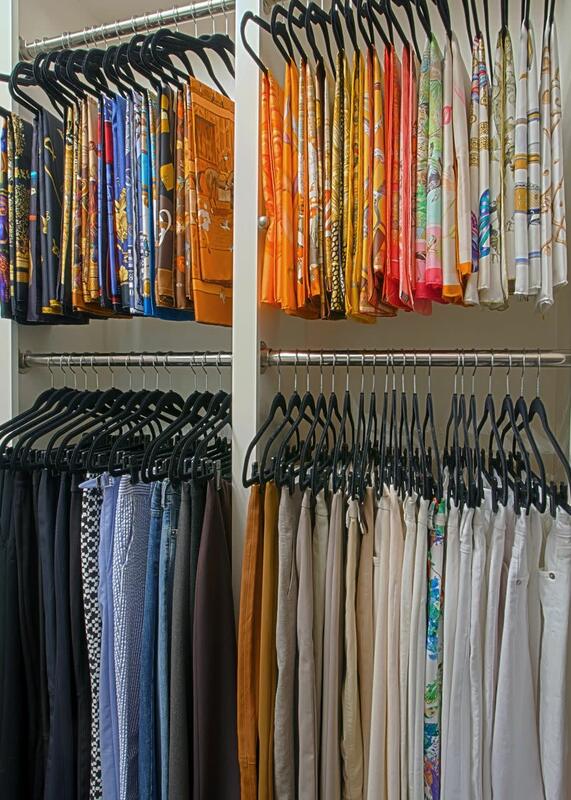 We designed this closet to showcase our client’s stunning collection of Hermes handbags and one of a kind scarves. 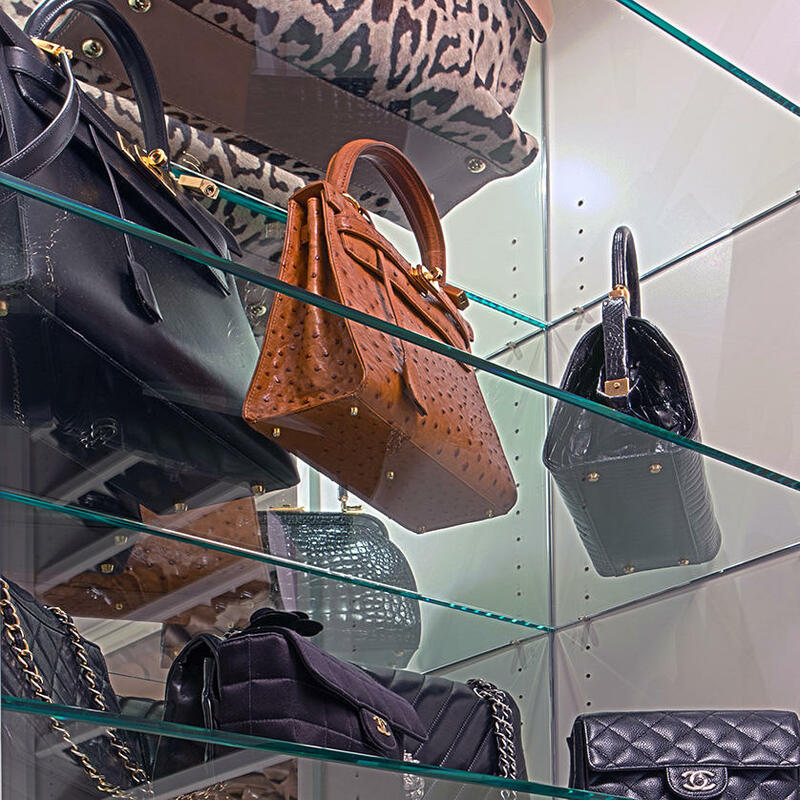 We used glass shelving above the dresser with LED lights to display the purses. Another cabinet was built with adjustable wood shelves for more handbags and conceal a tilt out hamper. Shorter hanging space was used to keep the Hermes Scarves accessible and easy to reach. We could not be happier with the look of our new closets and the fact the layout of them makes getting dressed much quicker.